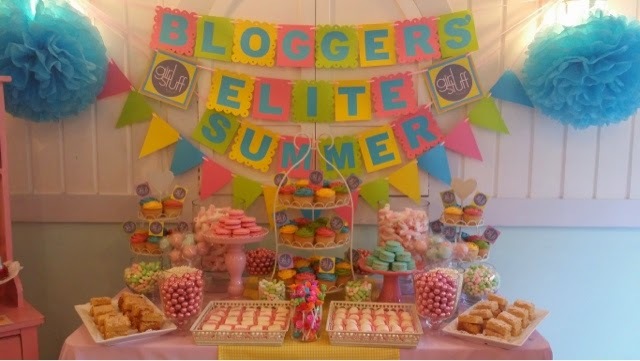 Summer with Girlstuff Bloggers' Elite Summer Collection | Vanity and Everything in Between. gorgeous shades of nail polish. 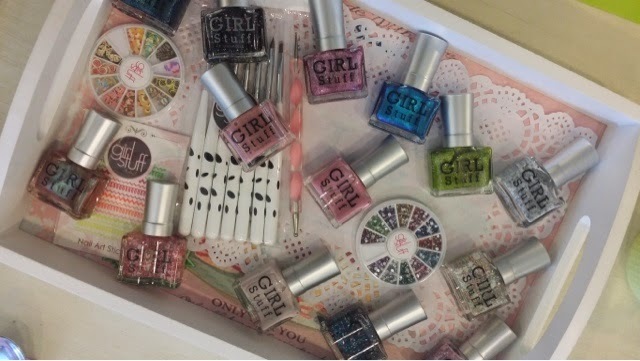 Girlstuff has tons of shades to go gaga about! 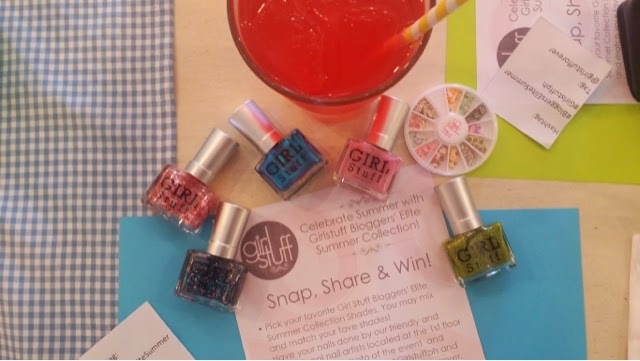 Two weeks ago, Girlstuff had their launch for their Bloggers Elite Summer Collection. I couldn't let this even pass because I love Girlsuff nail polish! I was sold right away the moment I saw the unique shape of its bottle! Isn't this candy bar so cute? On the side is their nail bar! I like the pink and beige nail polish in the middle! Merienda is served! I love Stacey's food because it's so tasty. 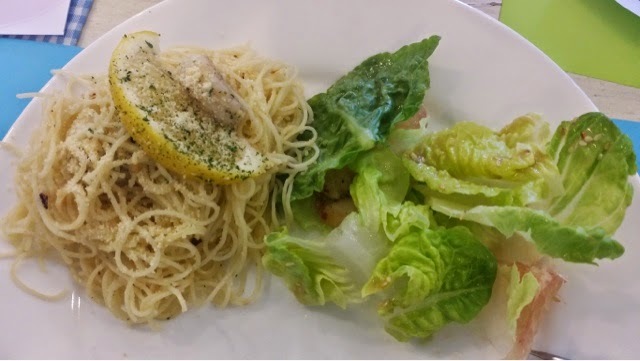 Too bad I had late lunch. 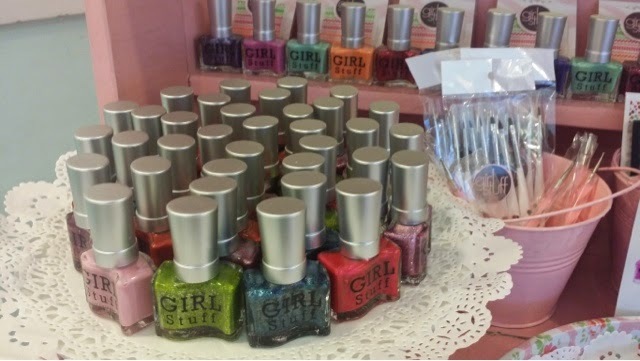 Everything nail related can be found on a Girlstuff kiosk. 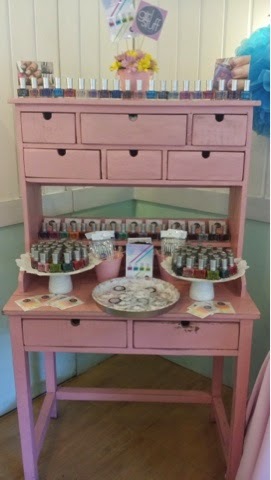 Aside from their wide range of shades of nail polish, they also have the trinkets for nail art. I don't know what it's called exactly but its those thingamajig that you put on your nail like a sticker. 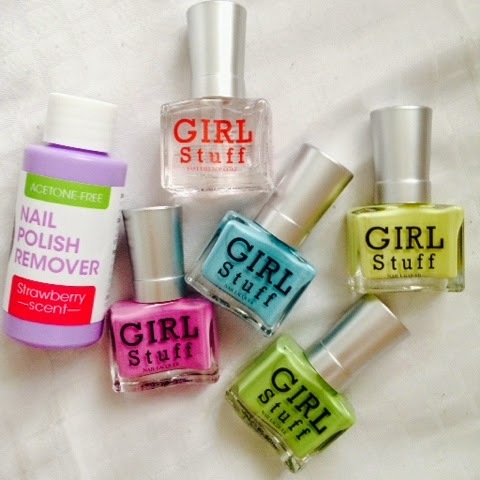 I'll have a separate about Girlstuff nail polish per se. 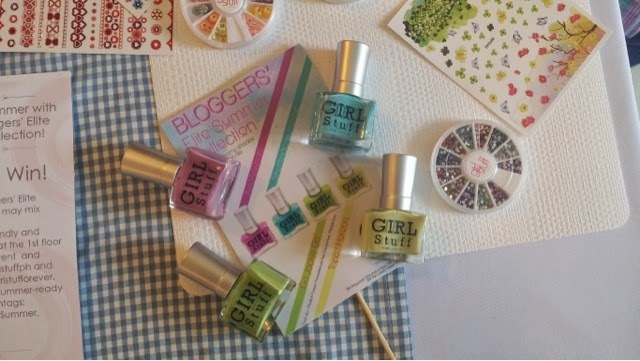 I'm sure females of all ages like nail polishes and if you haven't tried Girlstuff yet, you're missing out! It doesn't damage our nails like other nail polishes do (more of this on my review). Plus, it's very affordable. 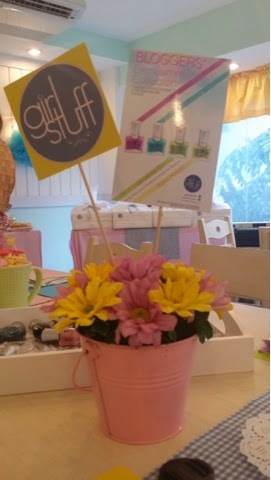 Their nail polish ranges from PhP50-PhP150 only with the fact that this is made in France! 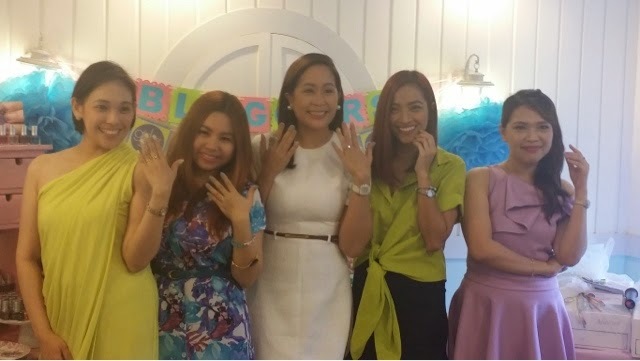 Ms. Janina was kind enough to give all of us a token of appreciation for attending Girlstuff's launch. 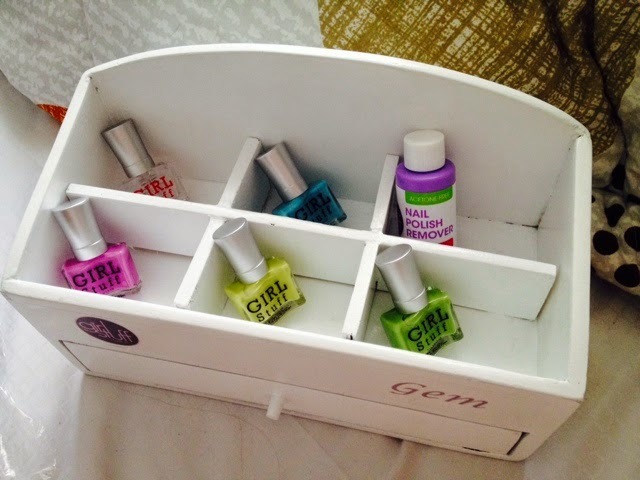 All the girls went home with Girlstuff Bloggers' elite summer collection nail polish and a little drawer that we can put on our vanity. Happy that it's white! nice shades youve got here ms gem! perfect sa summer! i want to see a nail swatch from your posts soon =) pink.. blue.. yellow and green all for the win! Looks like you had a lovely day! Can't get over how pretty everything looks in your pictures :) Love the prezzie you got at the end as well - gorgeous!